Throughout the year Salisbury Museum and a number of volunteers have been busy promoting the museum and publicising the new Wessex gallery at various community events, along with the museum’s own activities programme. I have been talking to a couple of volunteers who have been helping out at various events over the summer, and with Salisbury Museum’s new Volunteer Coordinator Bridget Telfer. “On 29th and 30th June we had a stall at the Chalke Valley History Festival where on the Sunday we displayed the Scout Car and visitors got a chance to sit in it for a small fee!” – Bridget Telfer, Volunteer Coordinator. 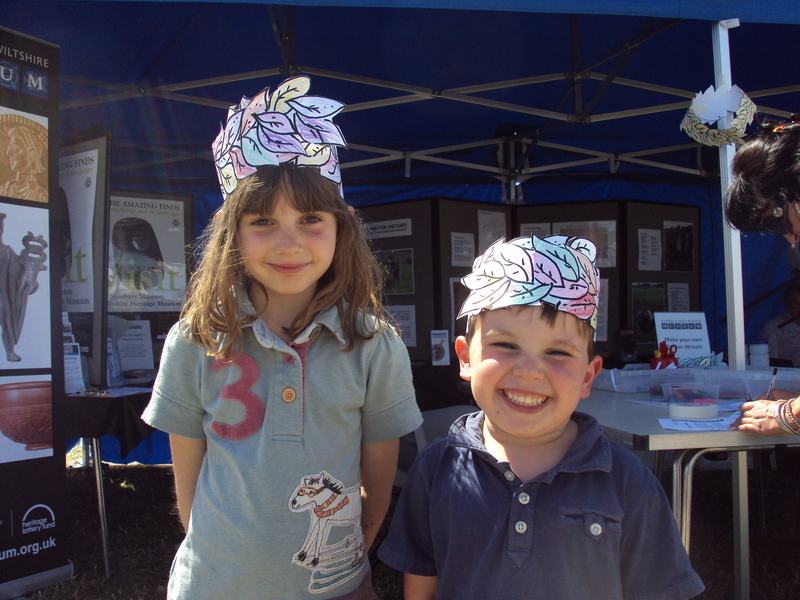 Children taking part in craft activities at the Salisbury Museum stall at the Chalke Valley History Festival. As part of the Chalke Valley History Festival Salisbury Museum Director Adrian Green also took part in a discussion of the findings from the ‘Digging for History’ archaeological dig that took place in the Chalke Valley two weeks before the festival. The dig took the form of a series of test pits on the site of a deserted medieval village between the villages of Alvediston and Berwick St John, and was undertaken by a group of leading archaeologists and volunteers from the Chalke Valley. 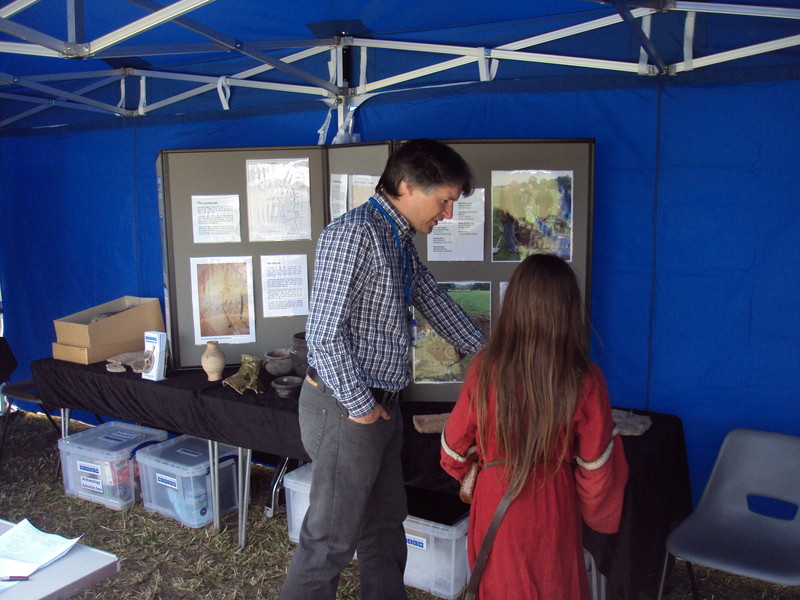 At the festival Adrian and the principle archaeologists discussed the findings, revealing some of the rich history of the Chalke Valley’s past. You may also have seen the museum’s stall in Salisbury city centre over the summer. 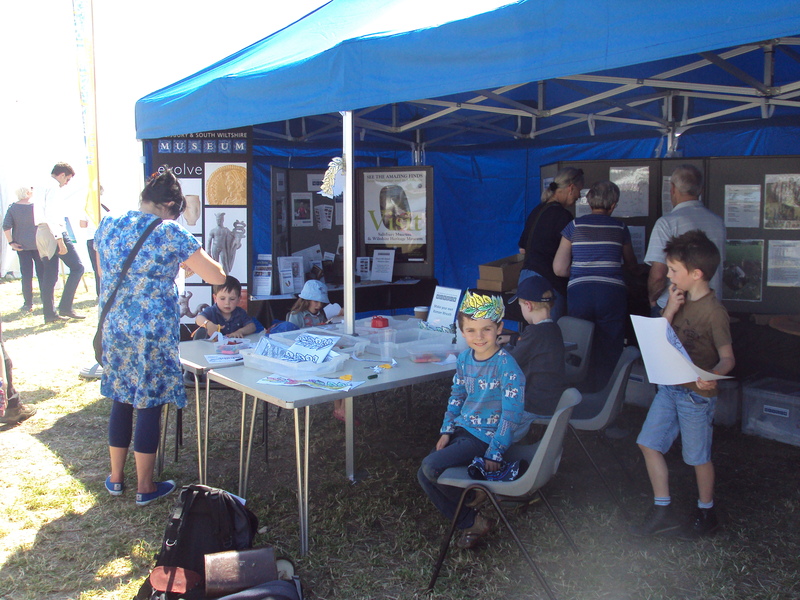 The stall proved very successful for getting information to parents about the various family activities that the museum runs during the school holidays and throughout the year for those below school age. “I spent most of my time accosting mums with young children saying ‘do you know about our under-five Fridays?’, ‘do you know about our children’s activities?’, and just handing out the information to them…[we] got a really good response from most of them. A lot of them didn’t necessarily know [that the museum had regular family activities].” – Mary Crane, Volunteer. “There were these two Victorian ladies who turned up and they were basically talking about the archaeology of Stonehenge, but one of them was pretending to be totally ignorant and coming forward with all the outmoded theories that used to be propagated about Stonehenge; the other one was trying to correct her. They did a short talk, just the two of them, almost in conversation, and the one who was wrong was talking to the audience the whole time. It was actually quite funny… At one stage we also had a group with learning disabilities in, and some of them could really see the funny side to it, which was great.”– Mary Crane, Volunteer. “Depending on who the audience was they had different activities, like measuring with the plumb-bob; [I also helped the smaller children] with colouring; and I did a bit of object handling. 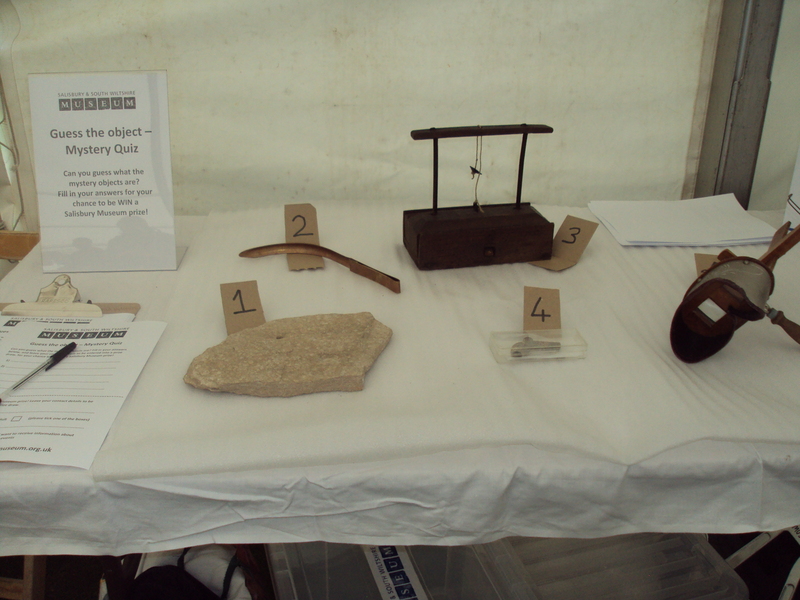 [There was also] a memory game where they threw a cover over a selection of archaeologists tools, and then took one away.” – Emma Mellor. Mary Crane has also been helping out with the museum’s monthly ‘Under 5’s Fridays’ activities, which are craft based sessions for under-fives and their parents or carers. “They made a big treasure chest and [the children and parents] made precious objects to put in it. So they were using cut up straws to make necklaces and bracelets, and they were using aluminium foil to make little goblets…There was some rather nice tubes to make telescopes. It was just a craft morning really. But of course what comes out of it is all the chat around what they’re doing…It’s a way of getting people into the museum, and feeling at home in the museum as much as anything really.” – Mary Crane, Volunteer. The ‘Under-5’s Fridays’ run throughout the year and offer parents, grandparents or carers looking after young children an opportunity to chat with other mums and dads and do fun activities with their little ones. 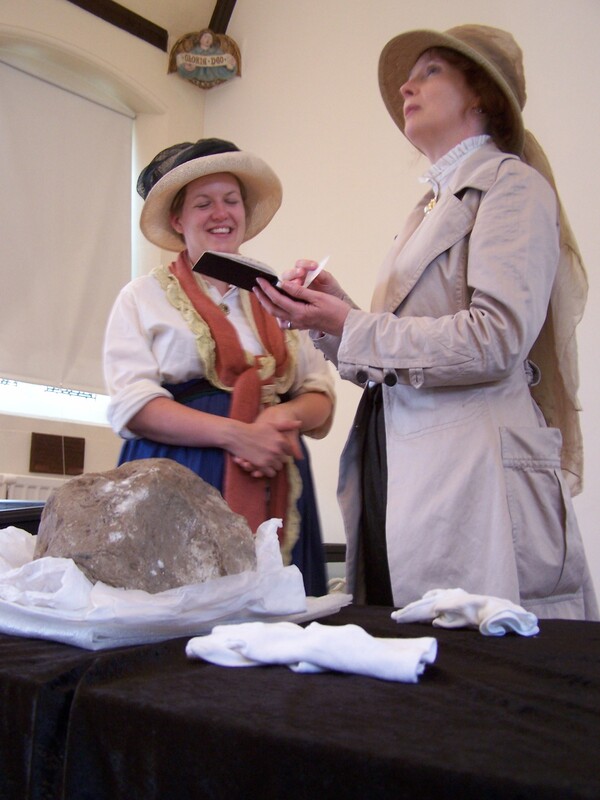 To find out more about the various activities and events on offer go to the ‘What’s On’ page at the Salisbury Museum website – http://www.salisburymuseum.org.uk/whats-on.